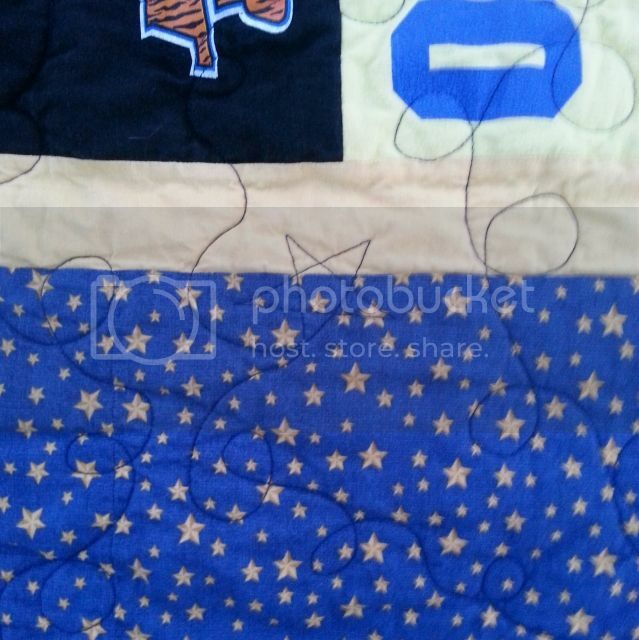 Katie Mae Quilts: Squadron T-Shirt Quilt - Finished! 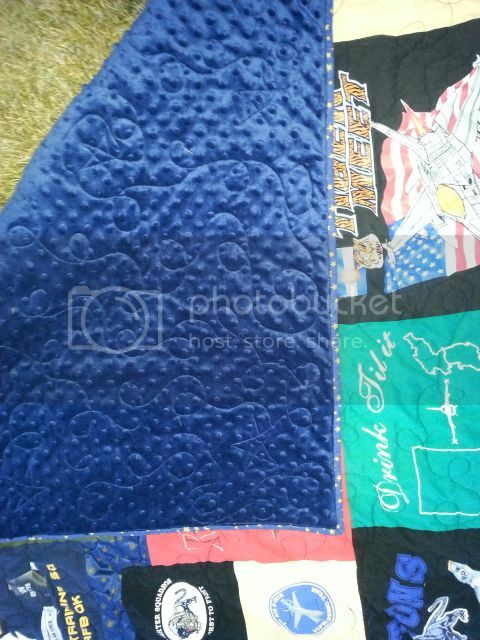 Let's see, the front border and binding is Robert Kaufman, the backing is dark blue minkee. No idea on the gold border. 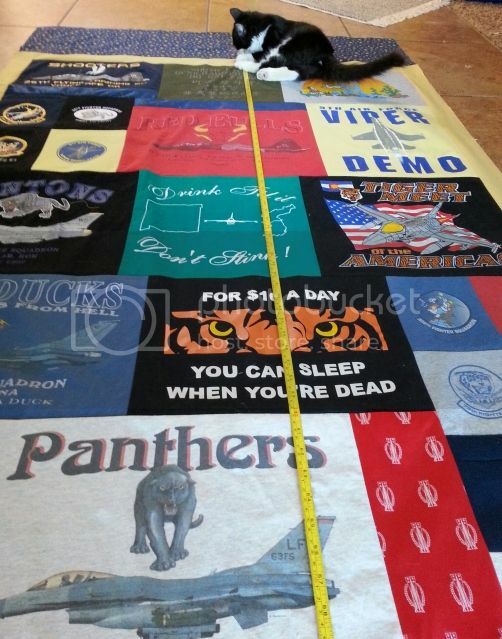 Nice Tshirt quilt! I was wondering what seam allowance you use when piecing tshirt to tshirt? 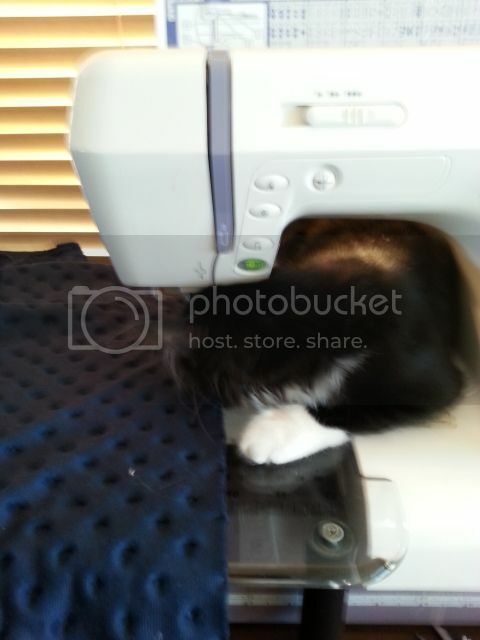 and what type of interfacing do you use on the tshirts? thanks for your answers!! LOVE it. 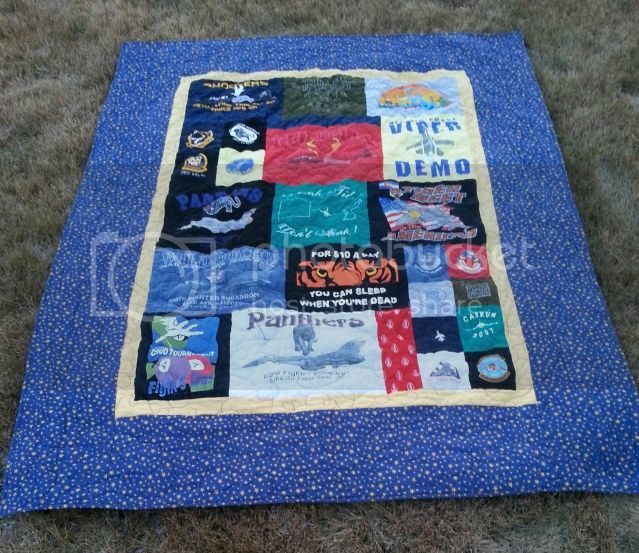 Love the quilting (nice job freehand, you awesome quilter!). Love the minky. Love it all. And I would make a horrible military wife too. I want to get these things for my husband's pistol and I had to text his friend who knows what they are called and where to get them. You should have seen the texts - I'm like, "you know, the thingies that go inside the magazine . . . " It was pretty funny. Weekly Progress - And a Happy New Year! Weekly Progress - Christmas is Done! Nine Patch Snowballs - Finished!